The world of natural remedies can be overwhelming. There’s approximately one million herbs and teas that are all perfect for something. So this list of supplies for your natural medicine cabinet is a guide to get you started. Make a couple of purchases and start using them. Maybe buy a natural remedies book; Rosemary Gladstar is a good place to start. And yes, it feels weird reaching for your own first aid cream instead of store bought Neosporin for the first time. But soon you’ll be on your way to soothing poison ivy with an oatmeal bath, diffusing eucalyptus for congestion and drawing out splinters with activated charcoal. Here are my favorite ingredients and a few ways to use them for common, everyday ailments. Garlic: Forget about catching colds every time the season changes. Garlic is best consumed raw, but I’m not yet brave enough to munch on cloves. This immune-boosting garlic shot will strengthen your system and fight against pathogens the natural way. Ginger: My favorite feel better beverage is a soothing tea made with a few slices of ginger and lemon and sweetened with honey. A natural anti-inflammatory that contains antihistamines ginger makes an excellent sore throat tea with turmeric and cinnamon. It’s also great for heartburn and upset tummies. Try it in a belly-soothing lemonade to fire up your digestion. Chamomile: Chamomile tea is perfect when you need to unwind after a long day and can’t sleep. The essential oil can also be added to a bath or massage oil to relieve insomnia, stress and anxiety. Peppermint: Mint is definitely a multi-tasker. It helps with digestive distress, nausea, headaches, cough and fatigue, to name a few things. The stomach-soothing mint tea is great for tummy aches. Red raspberry leaf: A PMS life-saver. 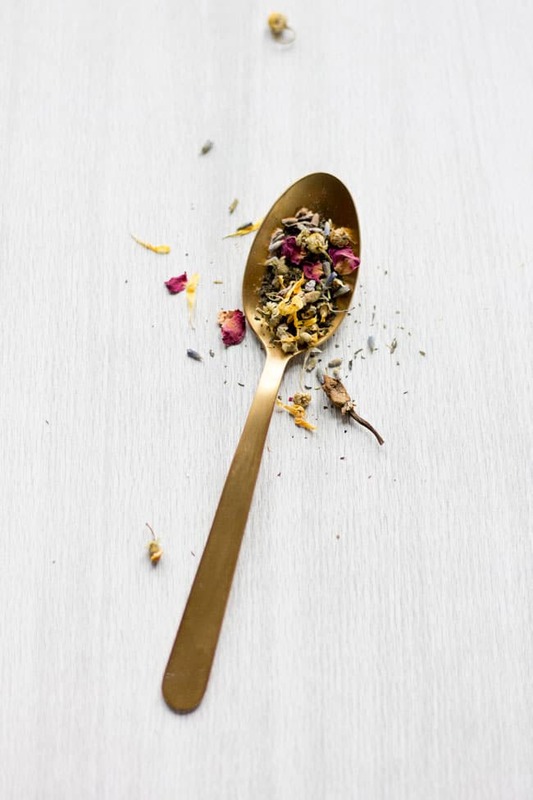 Vitamin B has long been recommended to help ease PMS symptoms, and red raspberry leaf just happens to be a rich source of B-complex vitamins–we like The Republic of Tea’s Organic Raspberry Leaf Superherb Tea. The tannins in the tea also help to relax your muscles, soothe stomach aches and calm stressed nerves. Eucalyptus: The sinus-opening scent of eucalyptus is anti-inflammatory, antiseptic and antiviral. Inhaling eucalyptus can help combat allergies and hay fever – try it in an inhaler or in a steam. Or add it to a bath to ease cold congestion. Lavender: Grab your lavender essential oil for one of the simplest burn remedies. Apply 1-2 drops of oil directly to the burn to ease pain and prevent scarring. The calming scent also makes it an excellent companion when you’re frazzled at the end of the day. Peppermint: Peppermint is a must-have for relieving tension and headaches. Not only is the cool, invigorating scent refreshing, but peppermint contains the menthol constituent for clear, deep breathing. Give yourself a quick head massage to ease tension. Combine 5 drops of peppermint with a tablespoon of carrier oil like coconut or almond and massage into the temples and the base of your neck. 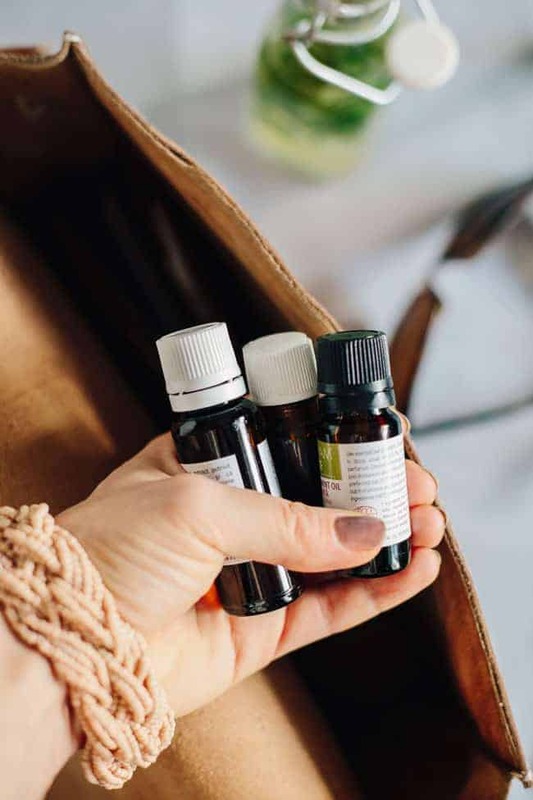 Tea tree: A must-have oil that’s amazing for just about any skin condition, including cold sores, acne, minor cuts, eczema and fungal infections. Calendula oil: Renowned for its skin-healing properties, calendula oil helps heal damaged skin, reduce scarring and generally keep skin happy and calm. Buy calendua oil (or infuse your own) and use it as a body oil or in homemade first-aid salves and diaper creams. 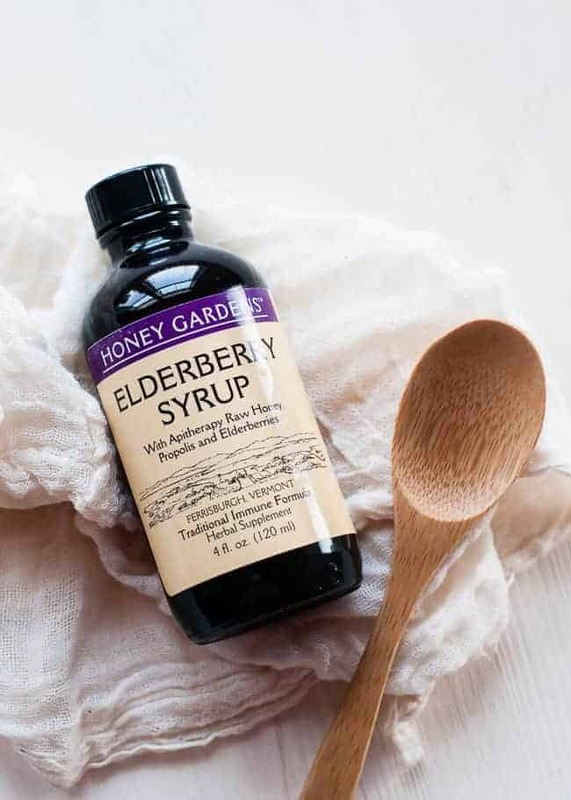 Elderberry syrup: Elderberry syrup is a great thing to keep in your fridge during cold and flu season. If taken as soon as flu symptoms appear, it can shorten the duration of the flu by 3-4 days. You can also make your own. Manuka honey: This stuff is not cheap, but keeping a small jar in the medicine cabinet is worth the investment. Perfect for dabbing on scrapes and burns (and the occasional face mask!). Witch hazel: You might think of witch hazel more for its beauty uses, but it also fights bacteria and reduces inflammation. It gives a cool, tingling feeling that feels so good on sore legs, bug bites and other itches. Combine it with aloe vera to make a natural hand sanitizer or antiseptic spray. Activated Charcoal: Charcoal is excellent for helping tummy troubles from bloating and gas to diarrhea. It’s easiest to take in capsule form but you can hide the powder in smoothies or applesauce for kids. 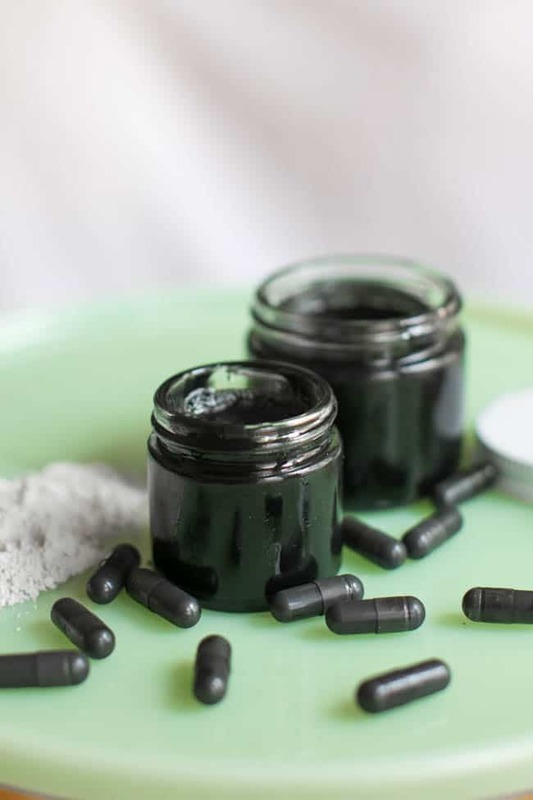 Keep this black salve on hand or mix a bit of the powder (just break open a capsule) with water to draw out the sting of bug bites, skin rashes, and splinters. Epsom salts: I’m a big believer that a bath helps almost any ailment. So I draw a bath when there’s cut or scrapes, sore muscles, colds and infections, headaches or congested sinuses. Dissolve 1 cup of Epsom salt in the warm water and soak away. You’ll absorb the beneficial minerals from the salt, especially magnesium. Bentonite Clay: Clay is another useful ingredient for drawing out impurities. It makes a simple homemade calamine lotion and a natural antifungal powder for athlete’s foot. And it’s another great bath ingredient for skin irritation and detoxing. Mix 1/2 cup bentonite clay in 1/2 cup of warm water and stir until the clay is dissolved. Egyptian Magic: An all purpose salve made with olive oil, bee pollen, honey and propolis that’s useful on everything from sunburns, chapped lips and dry elbows. Arnica Gel: A recent discovery that works wonders on bruises! Rub on for pain relief for sore muscles, swelling, stiffness and bruising. Small jars: Start collecting empty jam and jelly jars because they are the perfect size for making and storing recipes and ingredients. I love these small Ball jars. Having a few bottles with droppers is helpful too when mixing essential oils. Cool mist humidifier: An essential tool during dry winter months – or whenever we’re dealing with runny noses and congestion (which seems year round). 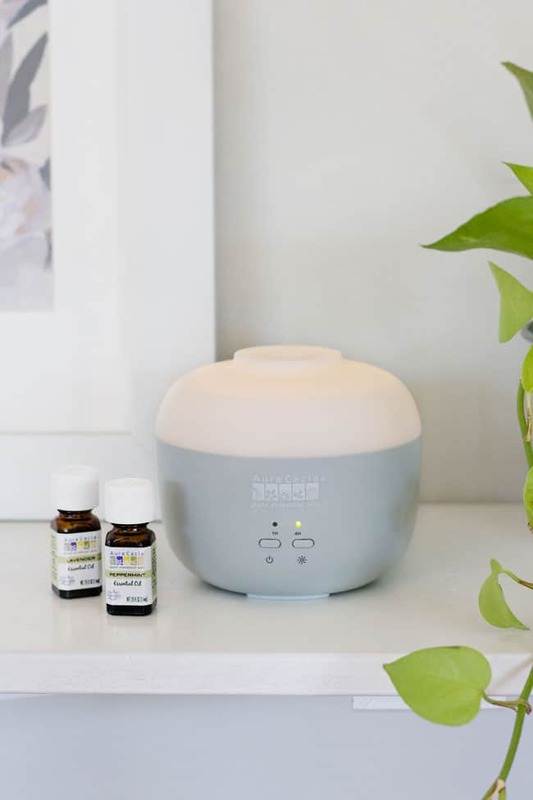 Essential oil diffuser: An easy way to diffuse essential oils into the air. Especially helpful for helpful for insomnia, stress and anxiety, and congestion. Cotton balls, Qtips and Bandaids: For obvious reasons. But a friend gave me some advice that has saved me a ton of money. Just get the plain Bandaids instead of the fun character ones so your kids don’t go through them like candy. Tweezers: I’ve used my tweezers more this year than any other for ticks and splinters so I’m giving them an honorable mention!